Things are so different from when I grew up, since I didn't have email and social media when I was a kid. 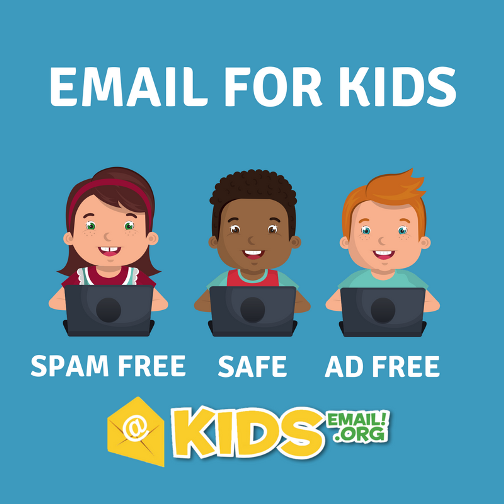 But Kids Email has created Kids Email Safe Email for Kids to help parents keep their kids safe online. The boys have basic gmail accounts, and Lydia does too. But it's harder for me to monitor their interactions. Generally they only use them to email me, but that's where Kids Email Safe Email for Kids can come in. 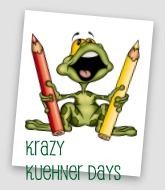 Kids Email Safe Email for Kids offers parents several options that sets them apart from typical email accounts. They make monitoring your kids very easy. You can authorize who can email them. They may only be allowed to send emails between you and maybe grandparents. If someone tries to email them that you have not authorized, you can see who this is and what the email is. There are no inappropriately placed ads. You can also set time limits, so that kids are not using their email during certain times. 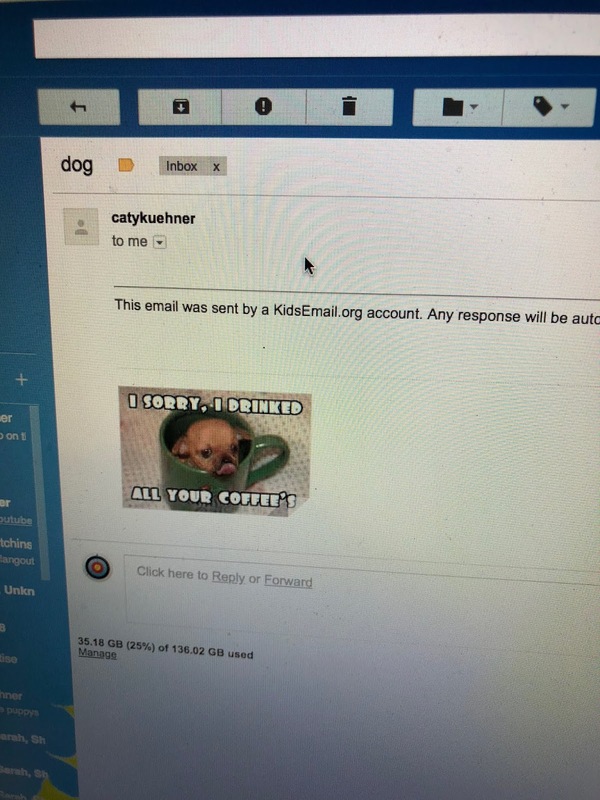 Caty is our only child that does not not have email account. 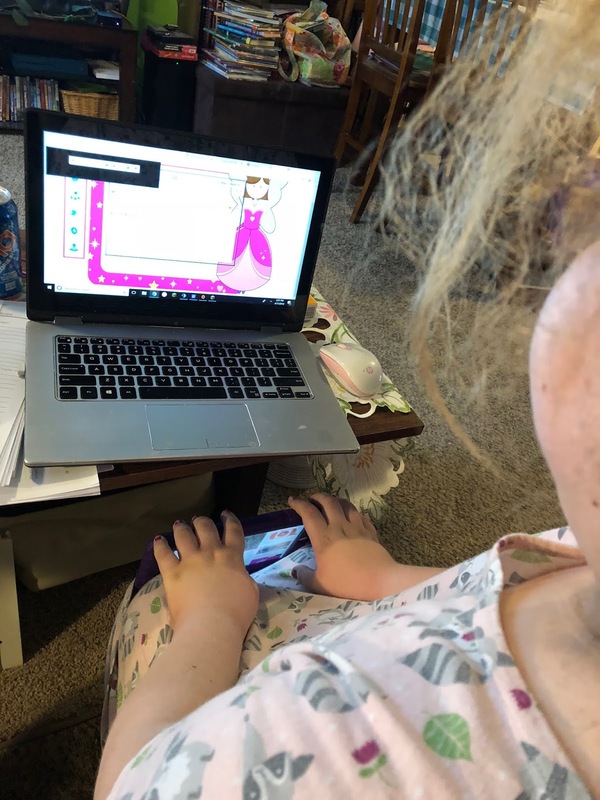 We have truly not had a real problem with our other three kids, but she has a bit of a problem with self-control online. So I have been putting it off, even though the other three kids use their accounts really just for schoolwork with me. 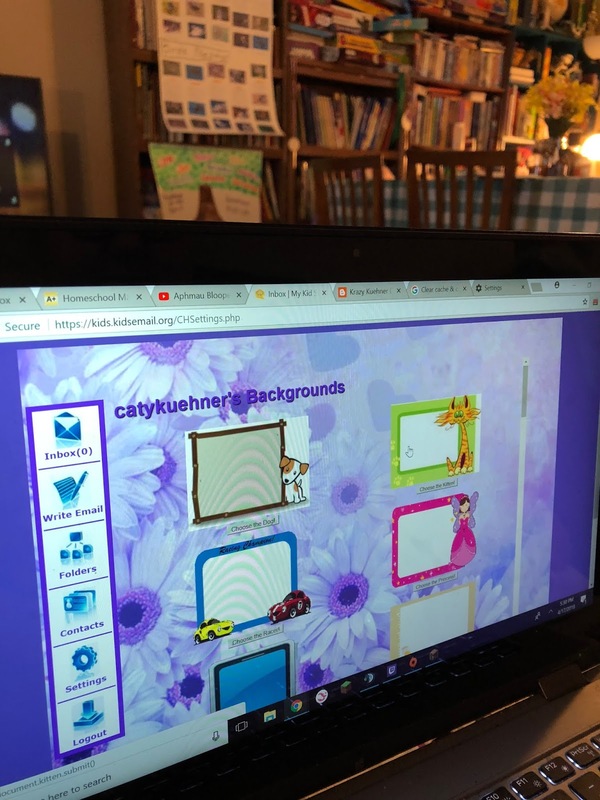 So Caty was very excited to get started. 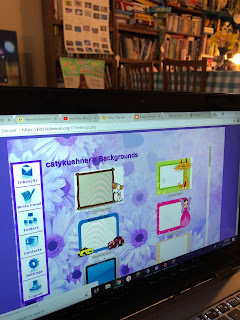 Safe Email for Kids allows kids to set up their own email screens. She really had a lot of fun with this option and changes it a lot. Her biggest thing is sending me funny memes that she likes. She is working on typing more, which goes hand-in-hand with her spelling and writing struggles. I am able to email her with information like logging into her accounts (she needs constant reminders about online class information). I can also email her a daily list, etc. As Caty grows though, I can also adjust her settings. 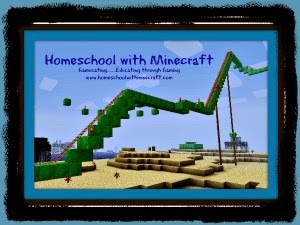 Internet safety is the whole reason that you want to start using Safe Email for Kids. But as kids learn and show their new responsibility, settings that you initially set up for them can be adjusted. As kids grow and become teenagers, you can also adjust their address to go from @kidsemail.org to @kmail.org. You can still monitor their emails, but their email address is more for teenagers. 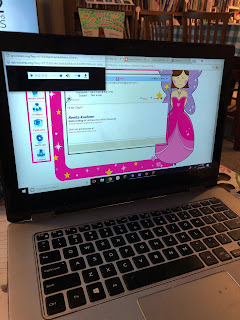 Safe Email for Kids also offers a Read It feature for students who are still learning to read. 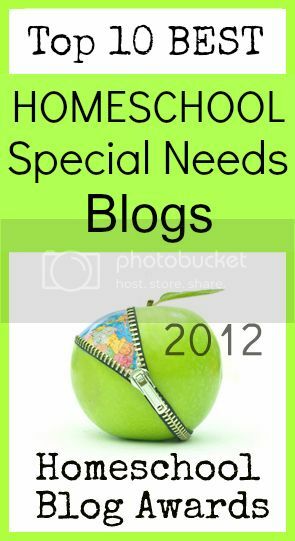 This is a great option for students who may struggle for certain words. It wasn't a feature that Caty used, but she knew it was there if she needed it. Caty is really enjoying having her own email now. 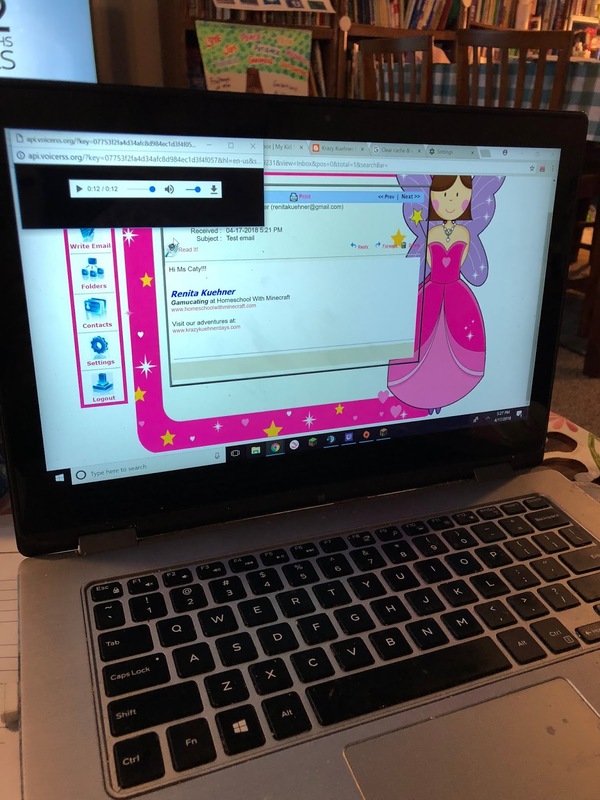 She keeps her screen open on her laptop, to watch when I email her with assignments for extra links. You can choose a monthly fee to try it out, or pay annually for all the features that Kids Email has to offer. It's very budget friendly, and really does help keep our kids safe on the internet. 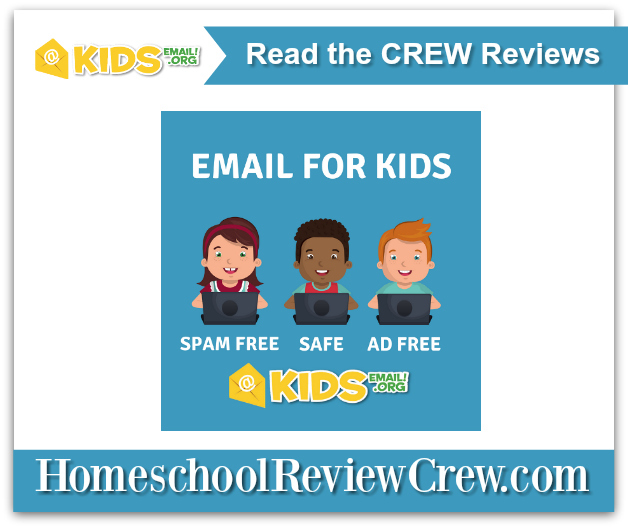 Several members of the Homeschool Review Crew were given the opportunity to review Kids Email Safe Email for Kids from Kids Email. 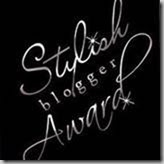 Click on the link below to see what they felt about this program.